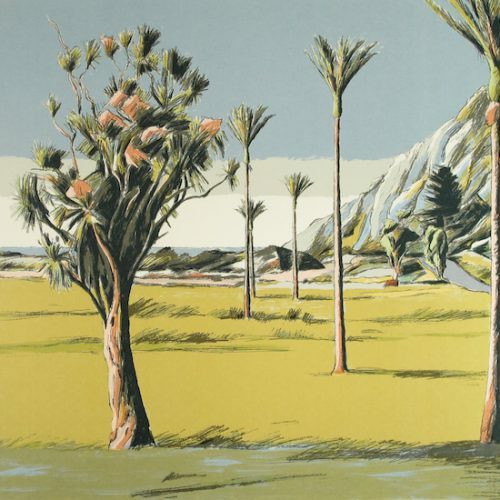 Painter and printmaker Stanley Palmer is well known for his depictions of a rugged New Zealand landscape. 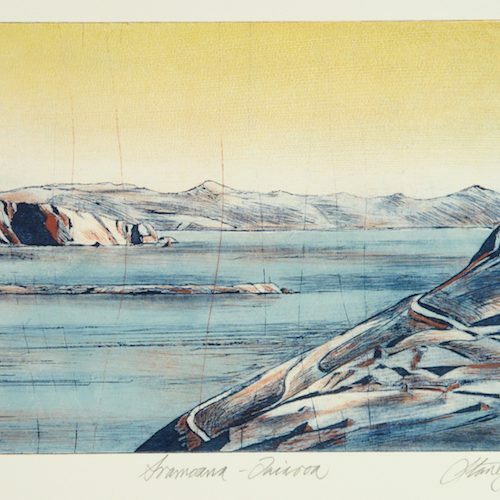 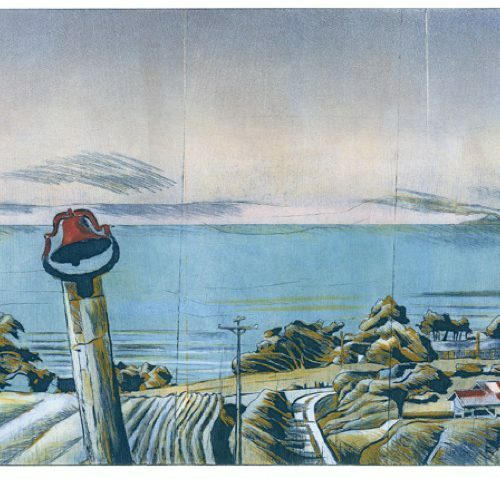 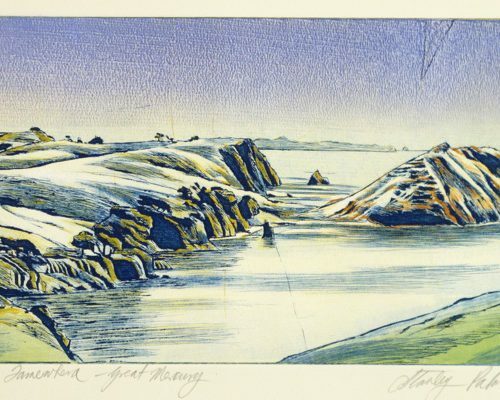 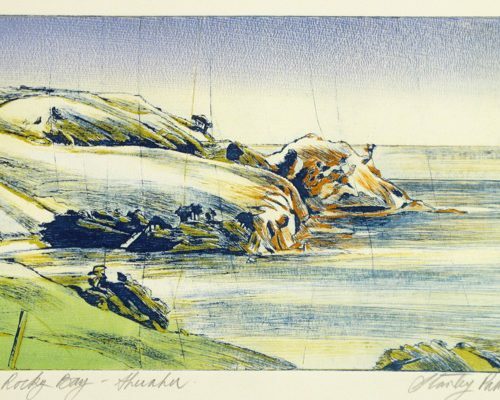 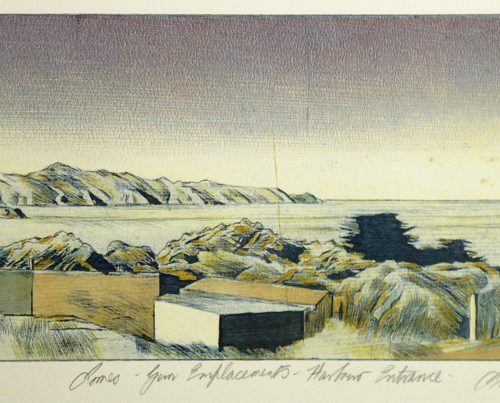 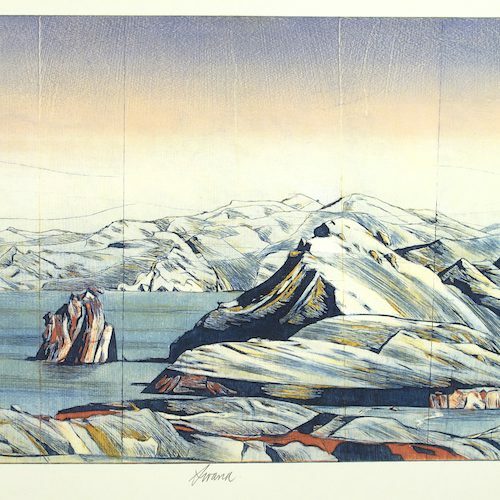 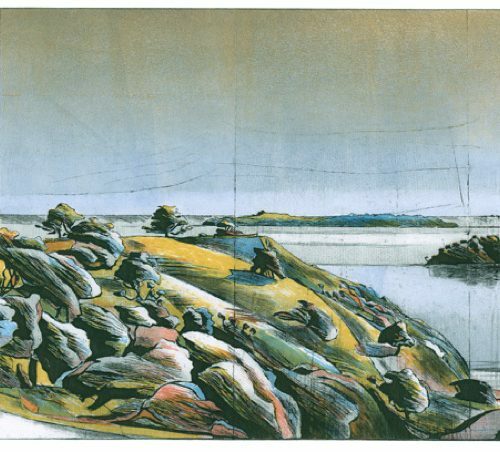 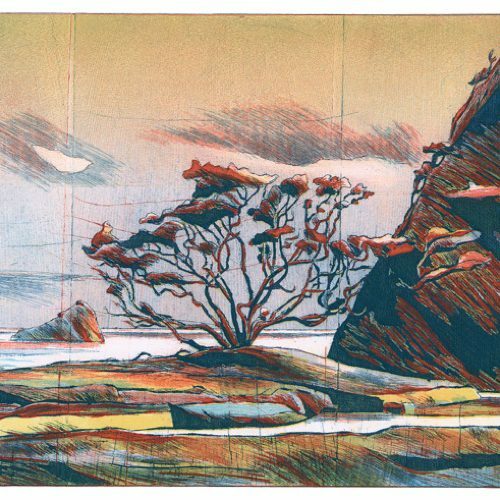 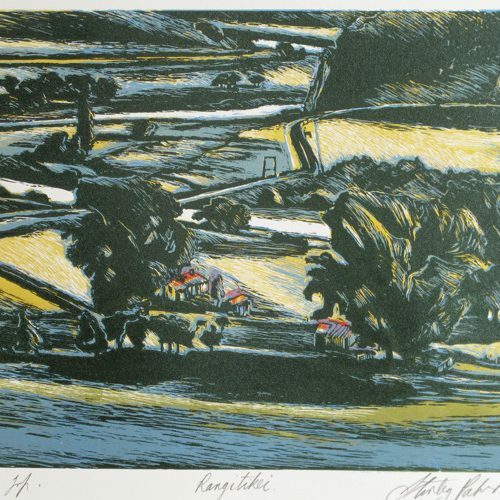 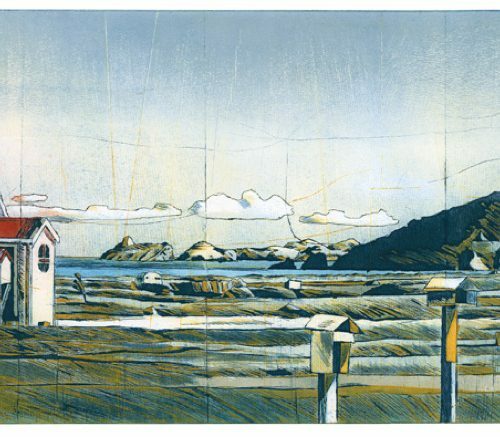 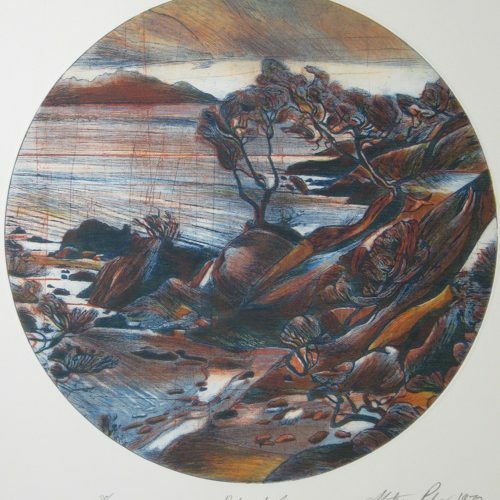 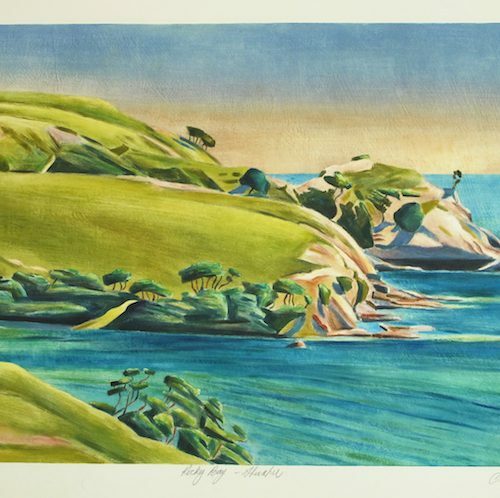 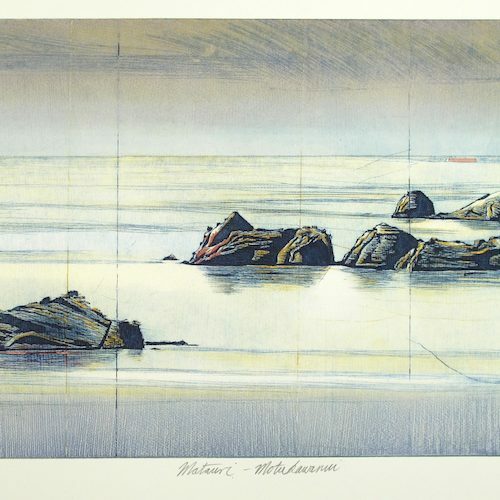 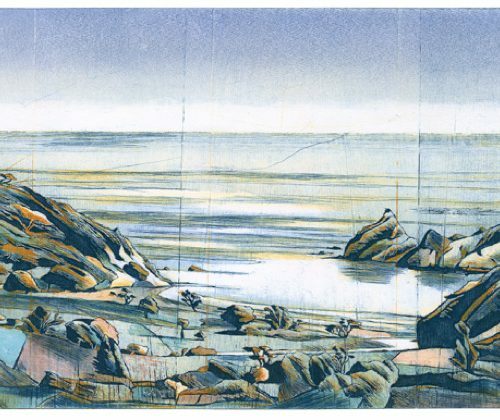 Often featuring the coastline or off-shore islands, Palmer’s distinctive prints are produced through a combination of bamboo engraving and lithography. 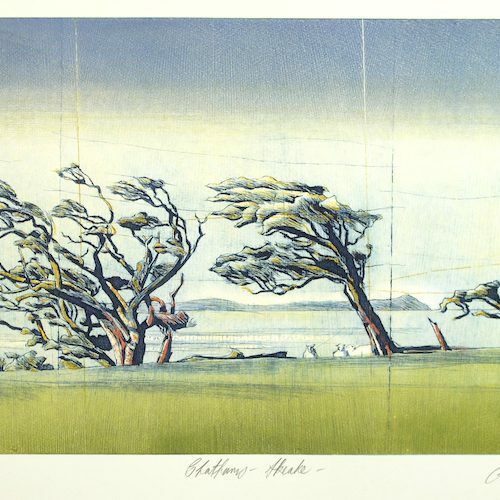 His early prints feature a signature fractured picture plane – a characteristic of working with bamboo. 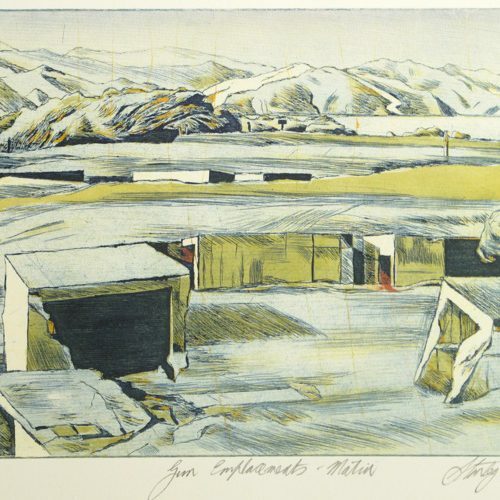 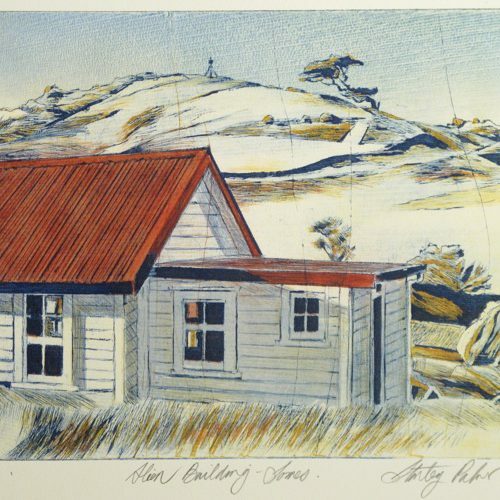 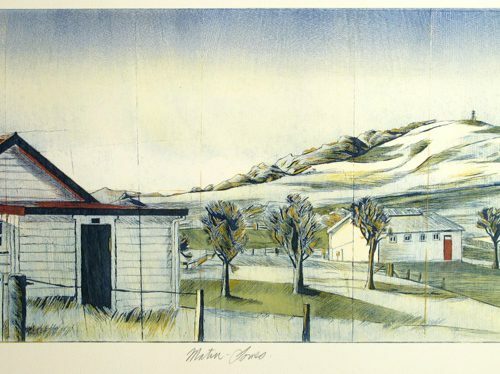 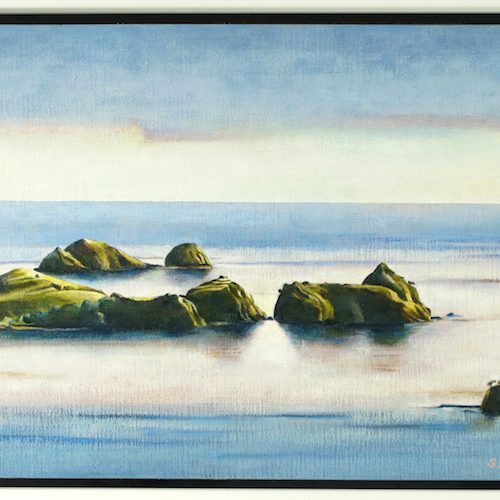 The artist has been exhibiting since 1958 and has exhibited widely in New Zealand and internationally. 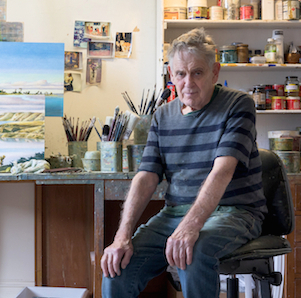 In 2009 the book ‘East: Stanley Palmer’ was published by Craig Potton Publishing featuring a selection of works spanning four decades. 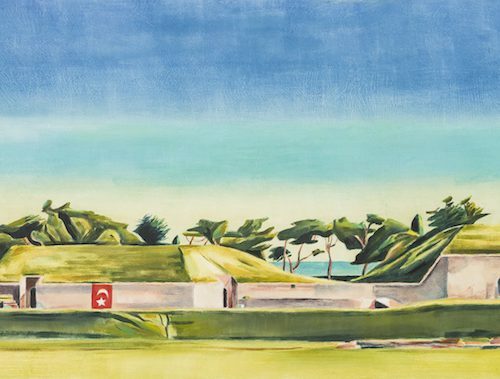 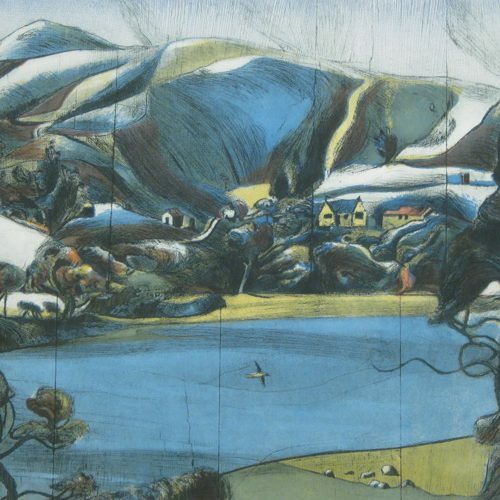 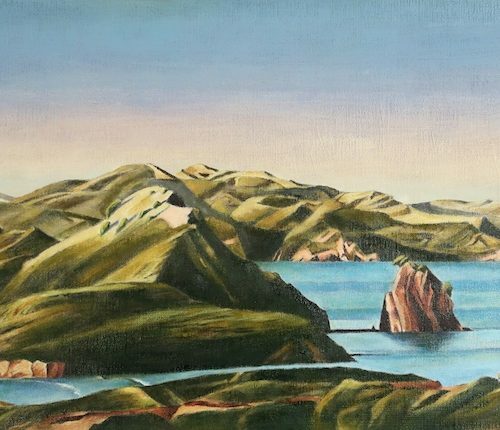 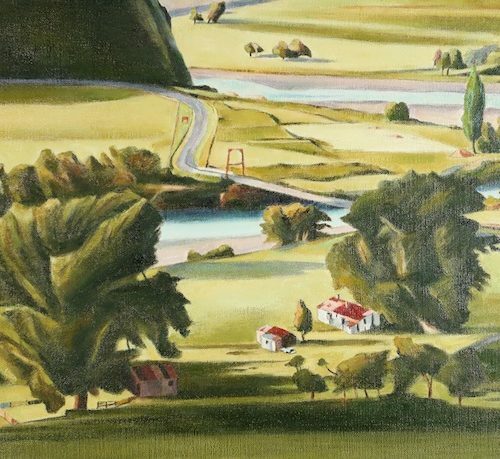 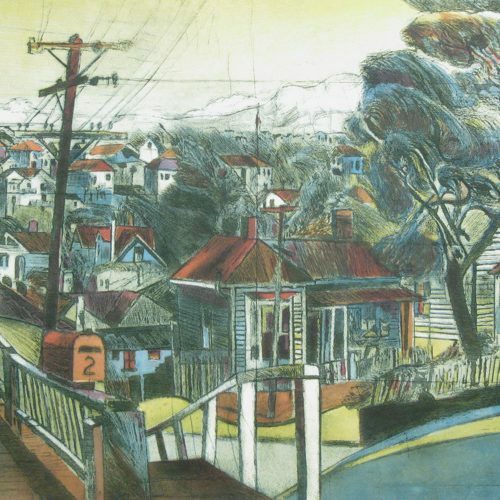 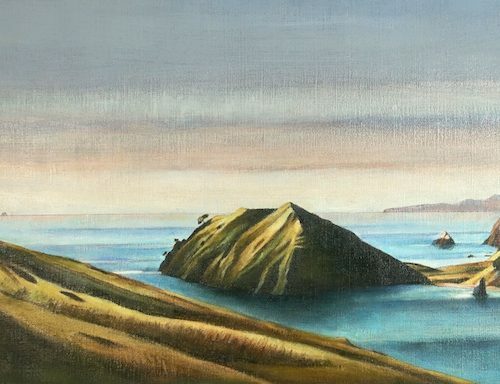 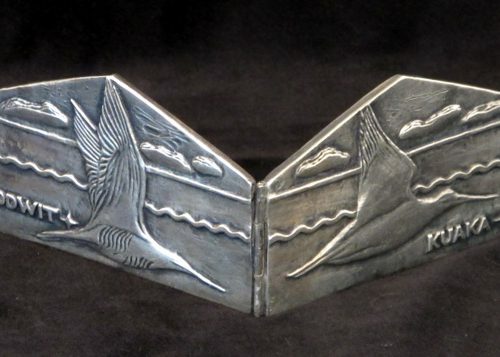 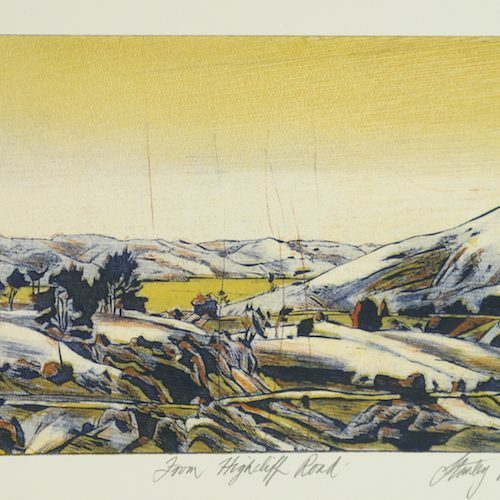 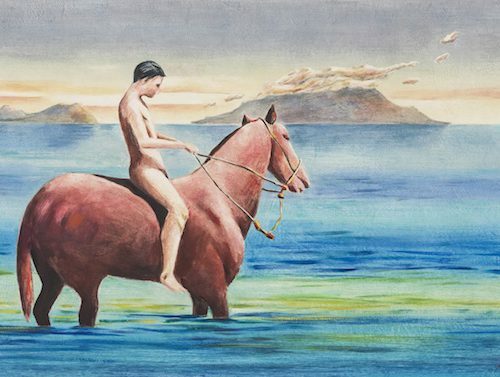 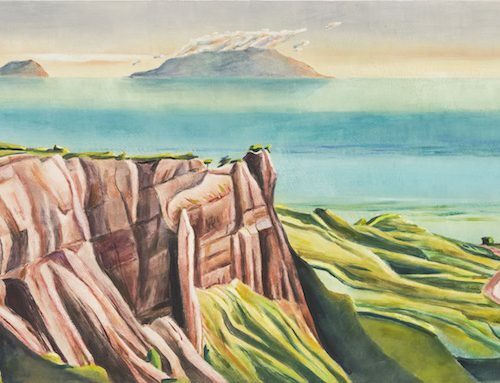 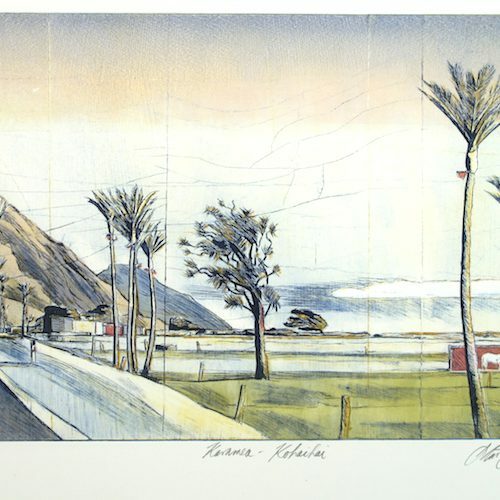 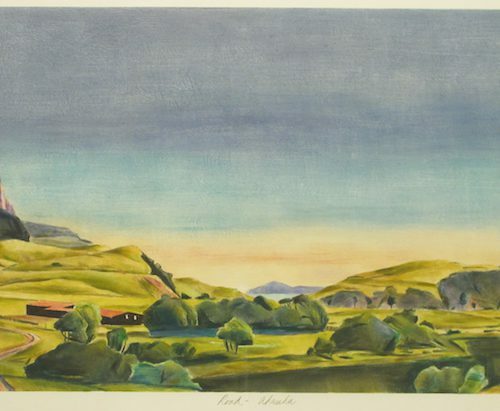 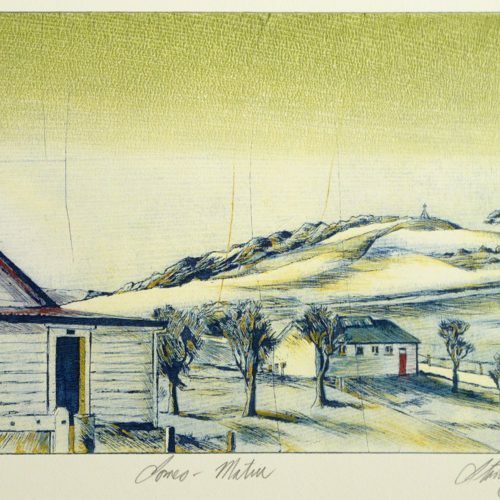 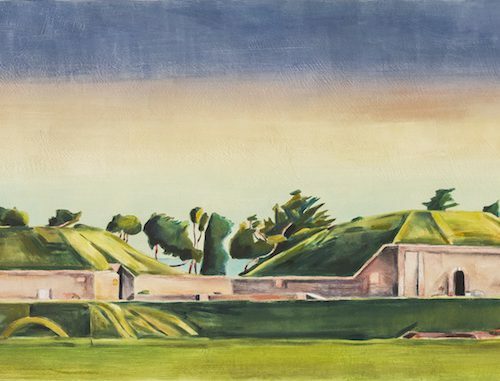 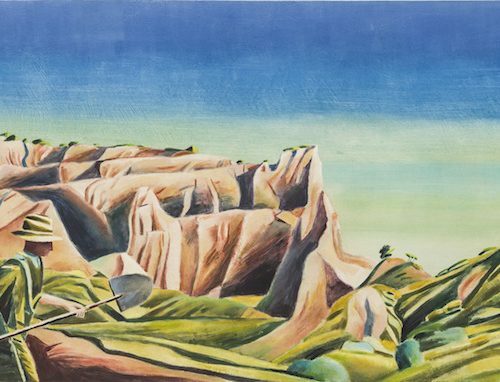 Stanley Palmer’s works feature in a number of collections including: Te Papa Tongarewa Museum of New Zealand, The University of Auckland, City Art Gallery, Auckland, Govett-Brewster Art Gallery, New Plymouth and the Robert McDougall Art Gallery, Christchurch.